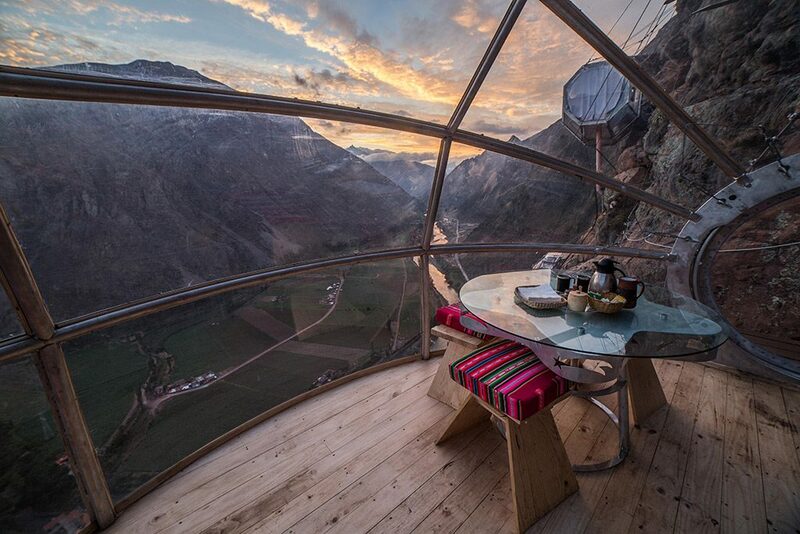 Can you imagine enjoying one of the world´s best culinary experiences in a transparent capsule located 400 meters above the Sacred Valley in Peru? Located just one hour outside the city of Cuzco, the exlusive Skylodge Adventure Suites opens its doors to all those who love adventure and good food, offering a real peruvian gastronomic experience combined with the thrill of arriving to the dinning capsule. For those who love good food and adventure! We invite you to enjoy a delicious lunch above the marvelous Sacred Valley of the Incas in Cusco, with the best view of this magical place and the experience to safely scale the side of a mountain 400 meters via ferrata and zipline or rappel down. The minimum age for lunch at the Skylodge Adventure Suites is 6 years old for ziplinning and 9 years old for climbing via ferrata.